In the Spirit of Thanksgiving, I suppose it’s time to follow all other blogs, social media posts, and people in general by saying what I’m thankful for. But since it probably goes without saying that it’s when your coffee has free refills and all of the cute boys in my history class, let’s change things up a bit. What is Richmond, VA, the 804, thankful for? We’re thankful and excited we were chosen for Stone Brewery’s next home, opening 2016 near Rockett’s Landing. Beating out many other cities up and down the East Coast, Richmond continues to prove herself as a Mecca for foodies. Speaking of that, let’s talk restaurants. How many times have you praised the Lord that Red Eye was open til 1 or 2 am to warm you up in this chilly fall/winter that’s upon us? Doesn’t a Sugar Shack donut set your day off on the right note?Or that, thanks to the twice-a-year Richmond Restaurant Week, that lets you try out more pricier places like Comfort, The Roosevelt, and Deco for $25.14 for a three course meal? And on the topic of the Roosevelt, Southside is reeling in bliss that we now have Southbound, which officially opened Tuesday. If I had the time and energy, I would also list the 390672038503 other amazing places to go grab a bite to eat. To branch off of that, I don’t think there’s anything like Richmond’s coffee addiction. Thank you, Lift, The Lab by Alchemy, Blanchard’s, Capital Coffee, Black Hand, Lamplighter, Crossroads, Taza, and (soon) Perk! for keeping Richmond rolling. Not just thankful, Richmond is also proud to be the home of University of Richmond, Virginia Union, and Virginia Commonwealth University. Even though it’s kinda unspoken that you pick one school and bleed their colors til death, as a city we’re proud to house them all. One of Richmond’s crowning jewels is our blossoming art scene, we pride ourselves over this like parents with kids making A’s in first grade. Our premier art museum has exhibited Dale Chiluly and Picasso over the past couple of years, and currently China’s Forbidden City. 1708 Gallery holds in the Inlight Festival every year, a nighttime display of colors for a night in different parts of town. 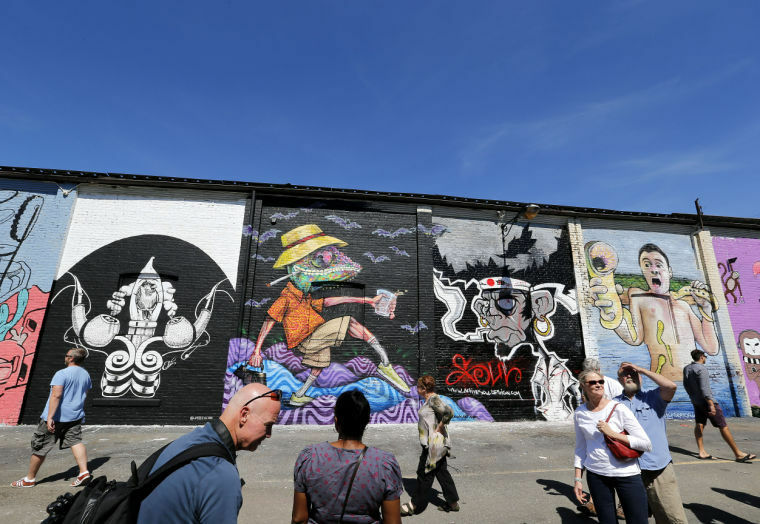 The Street Art Festival made its debut a year ago at the abandoned GRTC bus stop, drawing attention to the growing presence of murals in the city from the Richmond Mural Project. Look for its return next year in Manchester. First Fridays art walk is the place to be every month, up on Broad Street’s Arts District. And let’s not forget Joe Seipel’s School of the Arts at VCU, the number one public arts university in the country. Richmond truly honors art and artists highly. Our local shops and businesses are another thankful feather in this turkey. 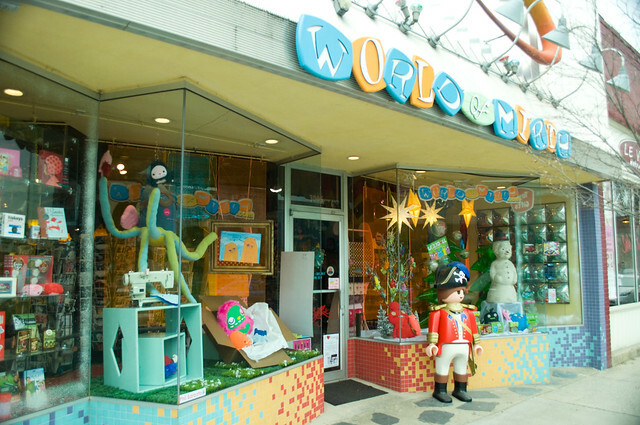 Where else can you find a Quirk gallery and shop/future Quirk hotel, kitschy World of Mirth toystore, or Chop Suey used bookstore (with a cat?!)? 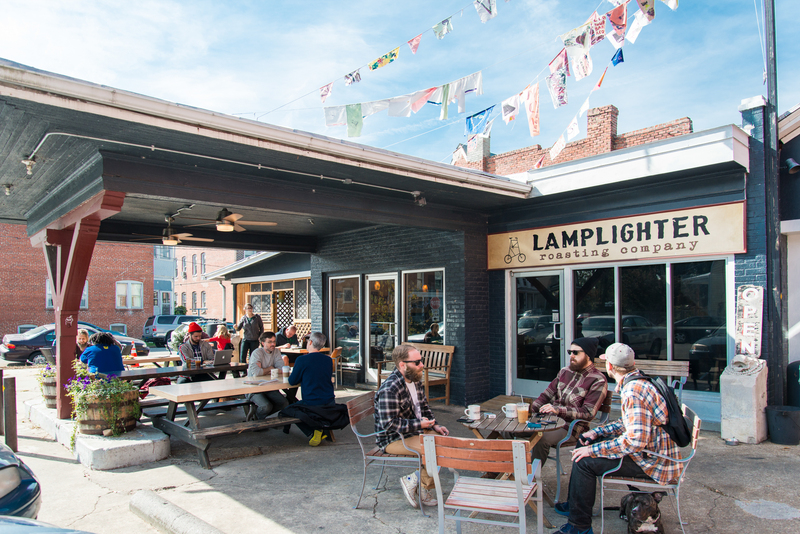 These little shops are what give Richmond its Richmond culture, and not the big box, any-suburban neighborhood Targets. We’re here to support each other and each other’s businesses. We’re grateful for the James River and its class IV rapids that make river days hella lot more interesting with your stand-up paddle boards, canoes, and inner tubes. There’s nooks and crannies to tan and swim in all parts of the River, from Texas Beach to Pony Pasture. With Richmond being named the best river town in the country, I mean we’re just a little proud…. And even though, thirty years in the making, we still cannot figure out where to put a baseball diamond, Richmond is trilled and thankful the San Francisco Giants chose to nest their double-A team, the Flying Squirrels on the Boulevard. I saw an article floating around Facebook the other day about Richmond being one of the most prideful cities, and with all the good and fun stuff we got running around the city, I can totally believe that. Maybe it’s just me, but with all of these awards and notices Richmond has been getting lately, all the hype about our food and river, Richmond’s going through a Renaissance, and we’re in the midst of it. To be around all of this liveliness and growth is exciting, I just want to prance up and down the James eating some tres leches cake from Kuba Kuba and make my own silly RVA video. We might as well be Florence in the 1500’s. We have a Cathedral and a statue of a naked guy, too. November 1st: el Dia de los Muertos: Stop thinking about sugar skulls for a few minutes and really appreciate this holiday. Day of the Dead is the Mexican holiday that honors dead family members by bringing food and flowers to their gravesides. It’s easy to get caught up in the roses, sugar skulls, and lollipops on the outside, when this holiday needs to be appreciated for its roots. Celebrated on the Catholic church’s All Saint’s Day, Dia de los Muertos is a holiday to recognize, remember, and appreciate your lost loved ones. Maybe it’s just me, but I think American culture could use a holiday like that. November 1st: Halloween candy sales begin! November 3rd: Hello, Nacho-Taco week begins! Going on until November 9th, Nacho-Taco week is another extension of the $5 plate week Style Weekly puts on during the year (Remember Burger Week, Sandwich Week, and Chicken Wing Week?). So here’s the dealio (follow these rules carefully): Go to any of the restaurants on the list here. The meal(s) on the list are $5 and only those. If you download the passport and get it stamped after dining at three restaurants, you get entered to win a Visa gift card! November 4th: Election Day. For the love of Jesus Cristo, use your political right to vote. Don’t be lazy, don’t not care, your vote is not insignificant. I know you’re proud to have this opportunity and live in a democracy, so why not use this awesome right? You could be living under totalitarian rule. 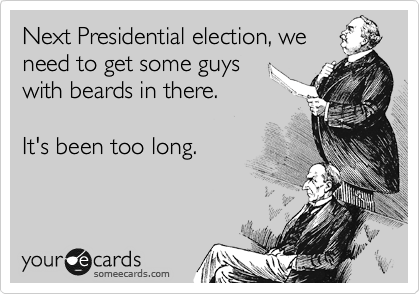 Why don’t politicians ever participate in No Shave November? November 17th: A certain blogging girl’s birthday (She likes reggae, coffee, and Chop Suey book store. Just sayin’). November 20th: VCU v. Maryland Eastern Shore at the Siegel Center. Not the Verizon Wireless whatever they’re trying to call it. This isn’t DC, we have no Verizon Center; VCU students aren’t about to give in to your capitalism. Anyway, we’re all trying to cope with calling the Landmark the “Altria”, one big change at a time is more than enough for Richmonders. November 27th: Thanksgiving. A holiday dedicated to food. Let me reiterate this: A day where it is socially acceptable to eat yourself into a coma. 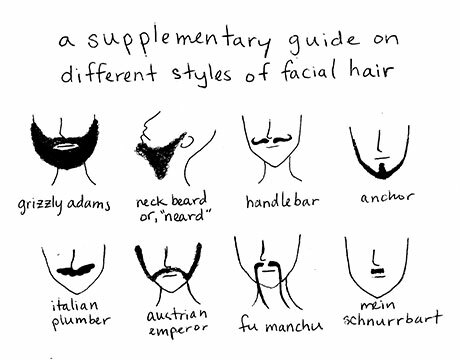 In fact, this is highly encouraged. 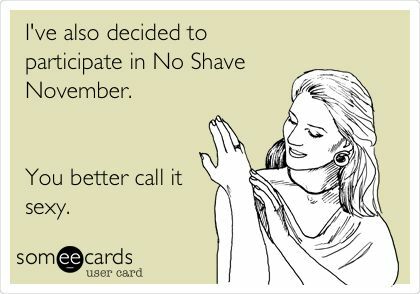 November 28th: Nope. Nope. Christmas season hasn’t started yet. Don’t listen to the TV about Macy’s Black Friday sales. Yeah, those are cancelled this year. Go watch Charlie Brown or knit a scarf.